Many of us skip the adverts one way or another whilst watching TV these days and the only adverts we really anticipate are Christmas ones. However, when it comes to the Super Bowl, brands go all out and even hire the help of celebrities to grab the audience’s attention throughout the game. It reportedly cost around £4million for a 30-second slot, so brands adverts really needed to do the job. It starts as a promo for Bud Light but cleverly twists into a Game of Thrones clip. 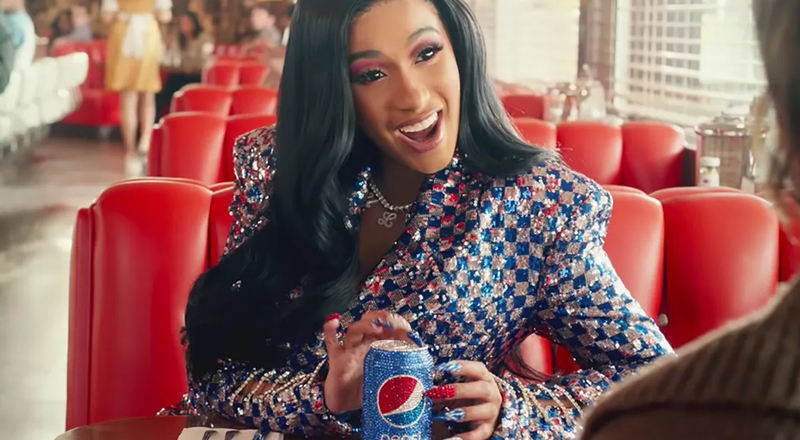 Steve Carell, Cardi B and Lil Jon all feature in Pepsi’s ‘Is Pepsi Ok?’ ad. Celebrating diversity, Coca Cola promotes its message #TogetherIsBeautiful. Did you know Budweiser brewed with 100% renewable electricity from wind power? Starring Sarah Jessica Parker as Carrie Bradshaw and Jeff Bridges as The Big Lebowski, they both switch up their signature drinks for a Stella. Ok, not quite a ‘Super Bowl’ ad but Volvo tried pulling viewers away from the game to watch a test drive of their new S60 with a chance to win one of three brand-new S60 sedans to drive for two years. According to Deadline, the actual number of people who watched the 6:32 to 10:05 PM ET game on CBS itself was 98.2 million (not including other streams etc.) which is the lowest since 2008 and the game was dubbed ‘boring’ by many as it was also one of the lowest scoring games in Super Bowl history. Which ad is your favourite? Looking to promote your brand? Get in touch.